'Lady Georgiana Rannoch won't deny that being thirty-fifth in line for the British throne has its advantages. Unfortunately, money isn't one of them. And sometimes making ends meet requires her to investigate a little royal wrongdoing. While my beau Darcy is off on a mysterious mission, I am once again caught between my high birth and empty purse. I am therefore relieved to receive a new assignment from the Queen--especially one that includes lodgings. The King's youngest son, George, is to wed Princess Marina of Greece, and I shall be her companion at the supposedly haunted Kensington Palace. My duties are simple: help Marine acclimate to English life, show her the best of London and, above all, dispel any rumors about George's libertine history. Perhaps that last bit isn't so simple. George is know for his many affairs with women as well as men--including the great songwriter Noel Coward. But things truly get complicated when I search the Palace for a supposed ghost only to encounter an actual dead person: a society beauty said to have been one of Prince George's mistresses. Rhys Bowen has done it again! She has created a wonderful and quirky mystery that is impossible to put down. I absolutely love this series. I love Georgiana and her struggles of being a royal relation who doesn't have the money to live up to the task. Georgie always seems to find herself in a spot of bother, but she is always determined to find a way out as well. She is so quirky and optimistic that it's so hard not to like her. I love everything about this series. It has to be one of my favorites and this installment was no different. I know that when I read a Royal Spyness book that I am going to love it from the very first page until the very last. I find myself laughing a lot when I read this book with Georgie's antics and her deplorable maid Queenie. Georgie once again has been asked by the Queen to do some work for her. The Queen's son, Prince George is engaged to be married and the Queen wants Georgie to be a companion to his fiance. Of course, Prince George's previous lifestyle is to be kept under wraps so that the fiance doesn't find out and cancel the royal wedding. 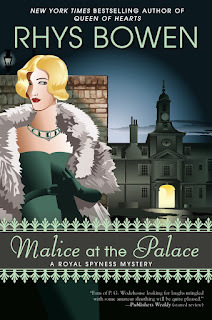 Of course, matters certainly turn bleak when one of George's former girlfriends turns up dead at Kensington Palace where the fiance is currently living. Georgie must decipher a murder mystery that has international consequences at the heart of the matter. As I stated previously, this was a lovely and engaging read. I love reading about Georgie and her antics and this book did not disappoint. Bowen is a phenomenal writer who never grows stale. 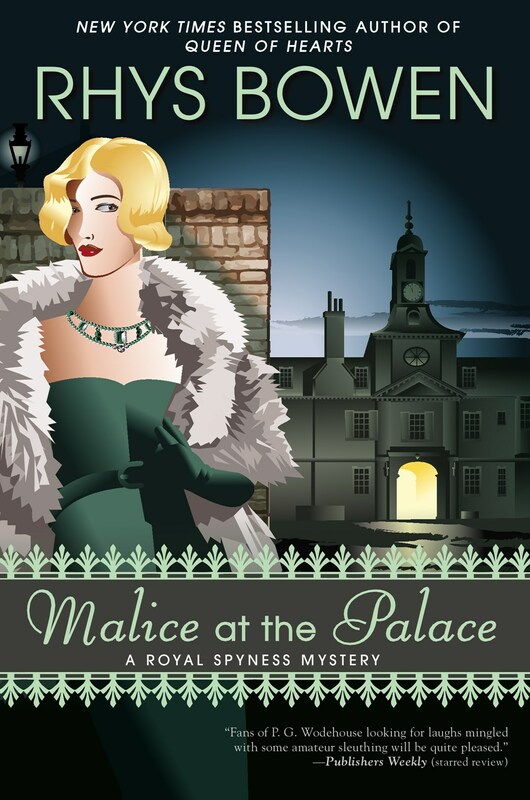 This is book number 9 in the Royal Spyness mystery series and it never gets dull. That is a testament to the author and her wonderful writing style. Not many authors are able to pull that off. Bowen does it with ease. If you have not discovered this series, then you are seriously missing out on a fantastic series. I really liked this one too but I figured out who the killer was early on. It is still a lot of fun to read about Georgie though and I loved her eccentric aunts and the setting. Can't wait for the next one.